In the late 1960s, in the warm glow of England winning the World Cup, Dave Roberts, like most teenage boys his age, was football mad. There was just one difference: rather than supporting the likes of Arsenal or Manchester United, Dave’s team of choice was the ever so slightly less glamorous Bromley Football Club – one of the last genuinely amateur football teams left, fighting for survival in the lowest non-league division. His book is the story of Bromley’s worst ever season. It is a funny and heart-warming tale of football at the very bottom: Dave turns up to each match with his football boots in his bag, just in case the team are a player short; the crowd is always announced as 400 as no-one can be bothered to count; the team ship so many goals that in one match, the taunting opposition fans actually lose count of the score. It’s easy being a football fan when your team are always winning. 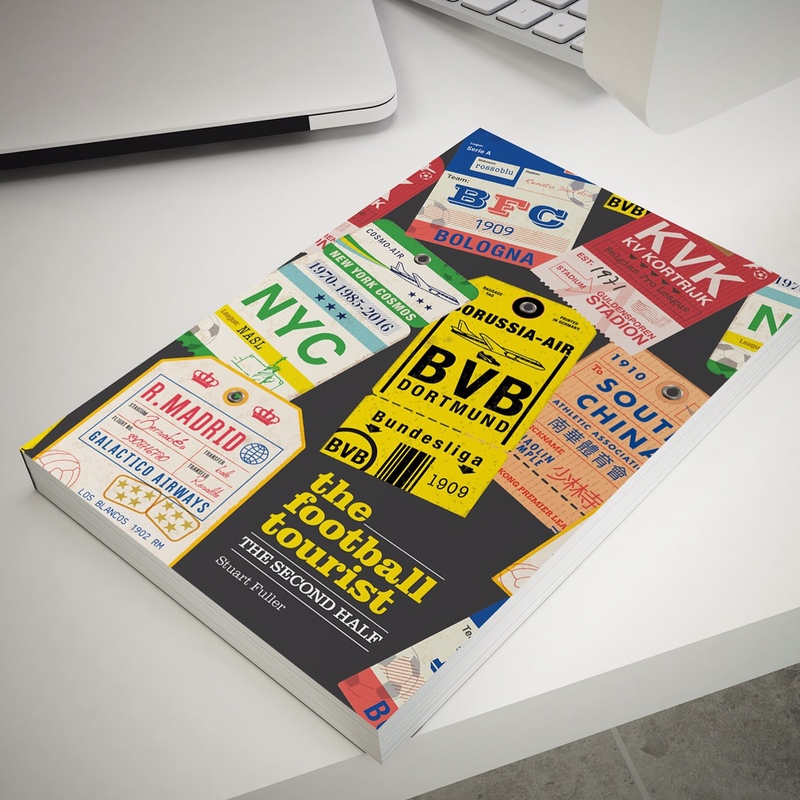 To say that this is one of our favourite ever books about football is an understatement. Whether it be because of our love of non league football, the fact that we live in Bromley or that we always back the three legged horse there are so many moments in this book that we can relate to. Literally as soon as we had read it we fired off an email to author Dave Roberts. And amazingly he responded within minutes. Since then we have been firm author pen friends. Dave now lives in the US but we recently caught up with him about the book, his younger years and his new project. The book The Bromley Boys is incredibly detailed from thirty years ago. How did you remember all of the events going on from such a long time ago? I’ll let you into a secret – I don’t. I get hold of the match reports and dig out the old programmes – these tend to jog memories. There’s also a couple of fans that I used to watch games with, including Derek from the book, who help out. One of them, a bloke called John, has a photographic memory and recalls the most incredible details. He could tell you what colour shirt and shorts the opposition goalkeeper was wearing in an obscure Kent Floodlit League game from 1971. I love that kind of detail. 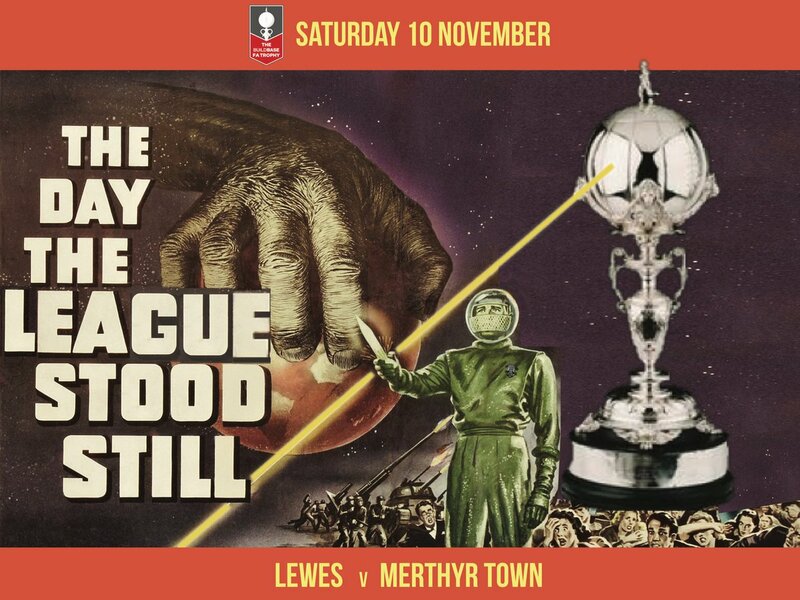 Apart from the proliferation of snoods, in your view how has non league football changed since the 1970’s? The fitness levels. When I came back in 2008 (I live in the US now), I went along to a Bromley game. I couldn’t believe how fit they all were. Last time I’d been back in the Seventies, non-league players generally played for the enjoyment of playing football, even if some were out of shape and not particularly hard workers. Most had full time jobs and football was just something they played once or twice a week, and trained on one night. When you last came back to the UK, did you have a Bromley Boys reunion with the ginger one? I did. Sad story, really. He’s not in the best of health and the ginger locks are long gone, but apart from that, he’d hardly changed at all. It was quite inspirational. Here was someone who had had his life torn apart by illness, yet still managed to be happier and more positive than most people I know. He’s still as passionate about Bromley as he ever was and, despite the fact he can hardly walk, still gets down to Hayes Lane occasionally. Where is the strangest place you have seen a copy of your books for sale? I’ve only seen it in two shops, but the strangest place I haven’t seen it would be the club shop at Bromley’s ground. Apparently the management were unimpressed with the book’s title which described them as “the worst team in Britain”. Which wasn’t my idea, by the way – the publisher put that bit in. Honest. How surprised were you by the success of a teenagers diary about an obsession for crap non league football in suburban London from 30 years ago? Hmmm – put like that, I can see how it hasn’t quite set the world on fire.Even the editor who bought it described it as “willfully uncommercial”. It’s taken two and a half years to go to a reprint, so, although it’s very kind of you to describe it as a success, it’s probably more accurate to say that it has done quite well in the Bromley region. Was there ever a sequel in the pipeline? I’d love to do a sequel one day, but they didn’t have a season anywhere near as disastrous after that, and I became a bit less obsessive. So the ingredients that made Bromley Boys work would no longer be there. Which makes it a bad idea really, doesn’t it? Who would play you in a film of The Bromley Boys, and how many offers have you turned down from film companies so far? Here’s a world exclusive for you – it’s currently in development with a producer and they’re getting a script written as we speak. I like the idea of Thomas Thurgood from This is England playing me, but come to think of it, he’s probably too old now. Maybe Darren from Eastenders. Who is the most famous person in your phone book? Alan Soper, former Bromley goalkeeper from the early 70s. Is he famous? I’m not sure. He sent me a Christmas card this year. I got really excited about that. Apart from the 7-0 drubbing at the hands of Weston-Super-Mare recently, things are going well for Bromley. How easy is it to follow their progress from across the pond? Thanks to the internet, it’s pretty easy. I also get the excellent fanzine (Two Footed Tackle), sent to me and there’s a really good online supporters forum, Back to Hayes Lane. There’s Twitter coverage of every game and I get to see the goals from most of them on the Bromley website. From what I’ve seen , this is one of the best Bromley sides there has ever been. My proudest moments in my publishing career were seeing a copy of my book in a shop for the first time, and then seeing someone actually reading it. What has yours been? I think it would be getting the deal for the new book. I’d just about given up when one of the world’s biggest publishers made an offer. I still can’t believe my luck. Ever been tempted to “re-arrange” the books in a book shop for your own personal gain? I couldn’t comment on that, apart from saying that Beckenham Books had a very nice display just after I visited them. Ever gone up to a stranger reading your book and offered to sign it? Would you? I don’t think I’ve ever seen anyone reading it, but if I did, I’d be all over them. Give us one story that ended up on the cutting room floor? Charlie King , the Chairman and everything else that season, was irrationally proud of the playing surface, which he was convinced was the best in the league. One frosty night, when the players turned up for training ( and I turned up to watch them), Charlie met them at the gate and told them that they couldn’t train on the pitch in case they ” broke the grass”. Training took place in an icy car park, which led to quite a few cuts and bruises. But at least the grass was OK.
Tell us about 32 Programmes which is due out next summer? Glad you asked. It’s a book about my wife and I moving to the US, and me only being able to take a small amount of programmes from my collection in our hand luggage, while the rest were kept in storage until we settled. The book is the story behind each of the 32 programmes I choose, which range from a World Cup game between Argentina and Peru, to a Bromley v Civil Service FA Cup qualifier. The book covers the important parts of growing up, like failing with girls, trying to befriend skinheads, writing really bad songs and corresponding with a TV football presenter. Bromley Boys is available at most good bookshops – just look for the sections that have recently been re-arranged. Alternatively head to Amazon and get your copy there. For more information on Dave and his books head off to his website. This entry was posted in Blue Square South, Non league football and tagged Dave Roberts, The Bromley Boys. Bookmark the permalink. I finished reading the book last week after Mr Fuller recommended it to me on Twitter. A bloody good read that had me nodding my head at bits that were similar to my own experiences and laughing at every turn. 2 of my friends-one a native Bromley boy are now badgering me to borrow it. I’ll make them buy their own, I hear writers need to eat after all.